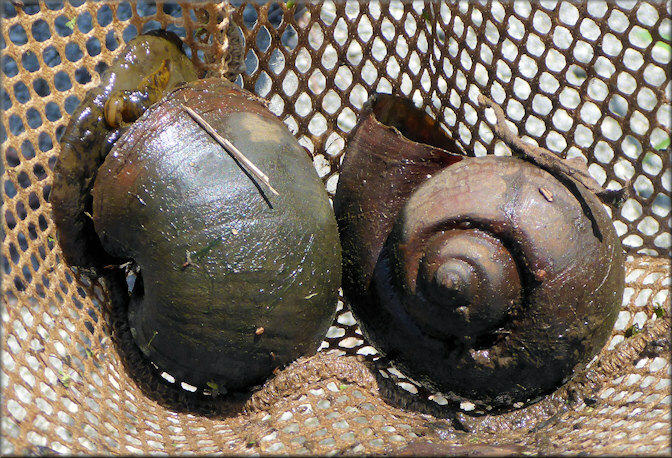 During a field survey on July 9, 2015, a large population of Pomacea maculata was discovered between Interstate 10 and US-90 just south of the town limits of Baldwin, Florida. As this reporter was exiting from Interstate 10 onto US-301, a small drainage ditch was seen crossing under the exit ramp. Upon investigating the ditch it was discovered that many Pomacea maculata egg clutches and live snails were present. 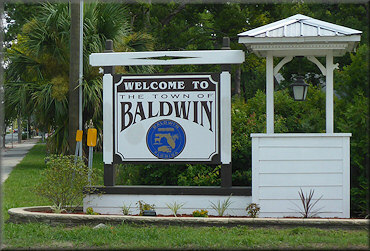 The image at the left shows the town limits sign along US-301 heading north into Baldwin from Interstate 10. Pomacea were found in the drainage ditch immediately adjacent to the sign. The red squares on the map below indicate the locations where live Pomacea maculata and egg clutches were found. It should be noted that due to time constraints, those were the only locations checked. 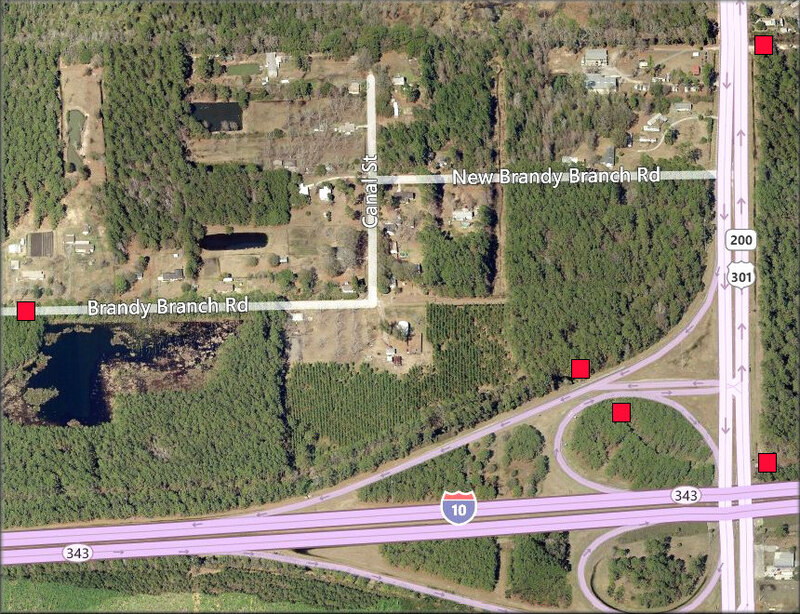 Thus it appears likely that other locations housing the species are present in an around Baldwin.